So cuddly, so cosy and so full of beautiful polar bears! This gentle classic is our perfect winter warmer. After a long day exploring in the snow, it’s time for Little Bear to go to bed. 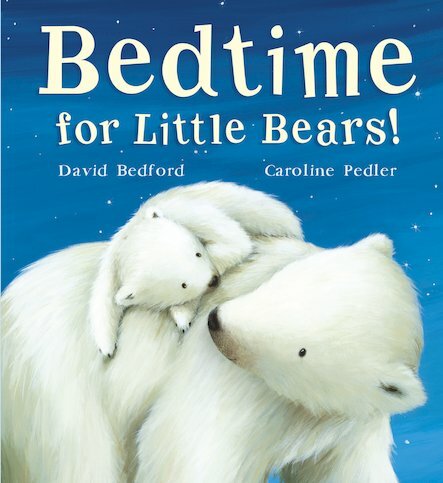 But first Mother Bear and Little Bear take one last walk to watch all the other baby animals snuggling down to sleep… A tender lullaby of a story, plus pastel artwork of outstanding beauty. One to share with the person you love best as you cuddle up and wind down for bed. I got this a while ago but have only just started reading it to my son at bedtime as its a bit long for him to pay attention to but works to get him to sleep. Every time I read this book to my little brother he falls asleep. not in a bad way in a good way. Its also calms him down. I rate this a 4 star rating. David Bedford has been writing full-time for children for over five years – although his first real job was as a NATO scientist. His main publishers in the UK are Little Tiger Press and OUP. David’s titles for Little Hare Books (Australia) including a soccer series for 7-11 year old boys are distributed in the UK by Bounce!